Cinema as an Art refers to the art of Film Making or Film Production. Film encompasses motion pictures as individual projects, as well as the field in general. The origin of the name comes from the fact that photographic film (filmstock) is the primary medium for recording and displaying motion pictures. Many other terms includes motion pictures, the silver screen, photoplays, the cinema, picture shows, flicks - and commonly movies. Films are produced by recording actual people and objects with cameras, or by creating them using animation techniques and/or special effects. They comprise a series of individual frames, but when these images are shown rapidly in succession, the illusion of motion is given to the viewer. Flickering between frames is not seen due to an effect known as persistence of vision - whereby the eye retains a visual image for a fraction of a second after the source has been removed. 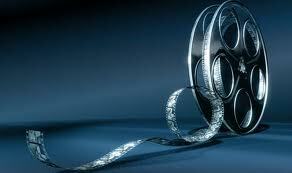 Film is considered by many to be an important art form; films entertain, educate, enlighten and inspire audiences. The visual elements of cinema need no translation, giving the motion picture a universal power of communication. Films are artifacts created by specific cultures, which reflect those cultures, and affect them. The filmmaking process consists of five main stages:1. Development, 2. Preproduction, 3. Production, 4. Post-production, 5. Distribution. We can also consider these5 stages into three parts: The first part consists of development. The second part comprises preproduction and production. The third part, consists of post-production and distribution. What appears to be the earliest-ever illustration of the camera obscura is found in a book by Fontana in 1420. The drawing shows a nun holding a vertically shaped camera with an image on the inside. Historians and commentators routinely speak of this illustration as a lantern, however the apparatus held is nothing like a lantern. The camera obscura contains the image and the lantern projects it. In this drawing by Fontana we see the image within the held object. Brunelleschi is believed to have either built or used a camera obscura in this year. Little is know of him. Shigeru Tsuji's 'Brunelleschi And The Camera Obscura: The Discovery of Pictorial Perspective', Art History vol.13, 1990, pp. 276-292 makes this claim. Vinci gives the fullest description known to date on the camera obscura. Vinci's work on the camera would not become common knowledge in the civilized world for almost three centuries. His 'Codex Atlanticus' and 'Manuscript D' both give detailed accounts of the camera obscura effect, observations, diagrams and explanations of it's principle. In all of Da Vinci's works there are 270 separate diagrams of the camera obscura. These descriptions would remain unknown of for 297 years when Professor Venturi would decipher and publish them in 1797. Before their public presentation in December this year to paying customers, the Lumière's filmed a comedic scenario called 'L’Arroseur arrosé' (The Waterer Watered). In it was the Lumière gardener François Clerc, along with a boy apprentice working in the Lumière labs, Benoît Duval. The story was of course simple and along the more modern lines of 'Denise the Menace'.